Photography is a big part of In the Wild VBS. It’s not just about snapping the perfect picture of an animal in the wild, but it’s zooming in on 5 key “snapshots” of Jesus in Scripture that help us to see the big picture of who He is, why He came, and why that matters to you and me! So why not create an oversized Polaroid® frame that families, friends, and even classes can use to capture snapshots of their memories from VBS? It’s a super fun (and definitely on theme) photo op to use before, during, AND after VBS! The photo op props you see in this picture are included in the VBS 2019 Wall Art … perforated and ready to go! You can also add wearable props such as the VBS 2019 Animal Headbands or VBS 2019 Kids Wraps or include animal inflatables such as the VBS 2019 Inflatable Frog or the Jumbo Inflatable Elephant. Cut the poster board down to 22-by-27-inches. Measure 8 inches up from the bottom edge and draw a straight line across. Measure 3 inches in from all other sides (left, right, and top). Draw straight lines. You should now have a rectangle inset 3 inches from 3 sides and 8 inches from the bottom. Hold the pencil-sketched frame up and test it to make sure you are happy with the height and width of the opening (once cut) and the width of the handholds (sides). Make any adjustments needed. Carefully cut out the interior rectangle and discard. Print “In the Wild,” “VBS 2019,” or another label of your choosing in the space at the bottom of the frame. Decorate as desired with theme or animal stickers or stamped animal prints. Invite kids to hold up the frame as you take their picture. 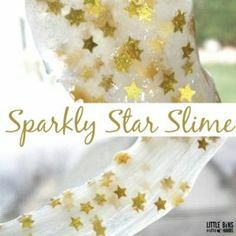 Provide things such as VBS 2019 Animal Headbands, VBS 2019 Hand Puppet Decals, VBS 2019 Inflatable Frog, or VBS 2019 Kids Wraps for kids to use while taking their pictures. Cut the board down to 4-by-5-feet. 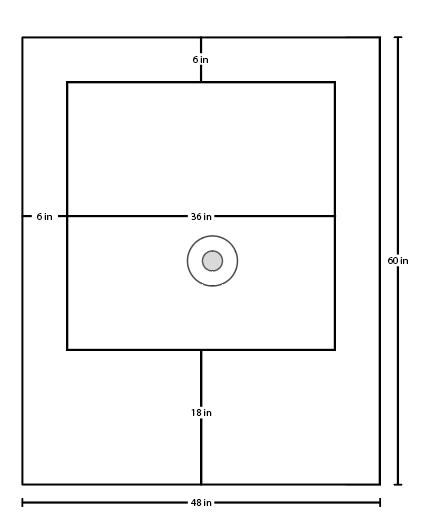 Lay out the board so that it is 4-feet wide and 5-feet tall. 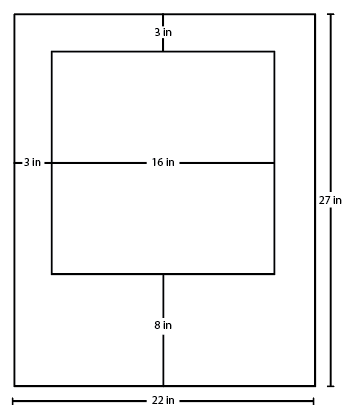 Measure 18 inches up from the bottom edge and draw a straight line across. Measure 6 inches in from all other sides (left, right, and top). Draw straight lines. You should now have a rectangle inset 6 inches from three sides and 18 inches from the bottom. Paint the entire frame white and allow to dry completely. Make sure to paint the inside and outside edges of the frame as well. 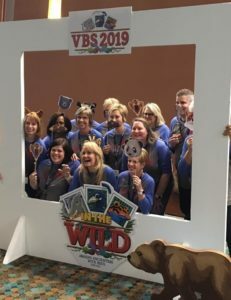 Print “In the Wild,” “VBS 2019,” or another label of your choosing in the space at the bottom of the frame and decorate as desired. 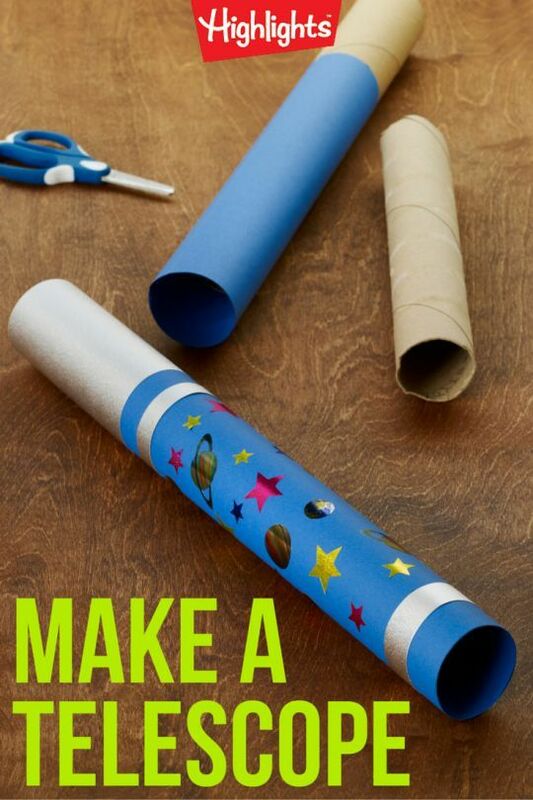 This and other great ideas can be found in the Decorating Made Easy book. How will you use this photo frame in your VBS? 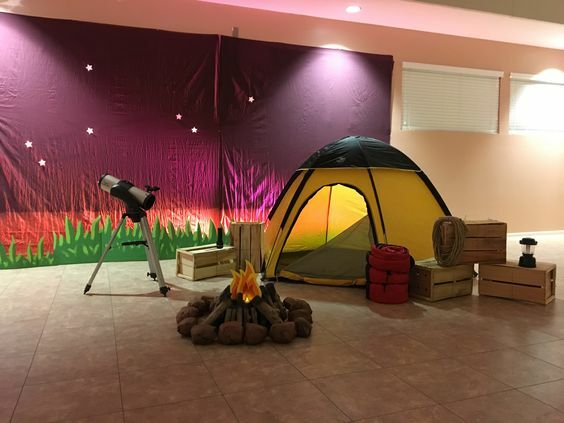 Now that’s it’s “go time” for VBS, the temptation is great to blow through the budget on all the “cute stuff.” It can be really hard to stay within budget once teacher requests come rolling in and supplies and decorations must actually be purchased. As a teacher, I want to stretch each and every dollar as far as I possibly can. So I’m always on the look out for things that are multipurpose. I want decorations that don’t just sit there, but can actually be used as teaching tools or in games. That’s what I call buying smart. 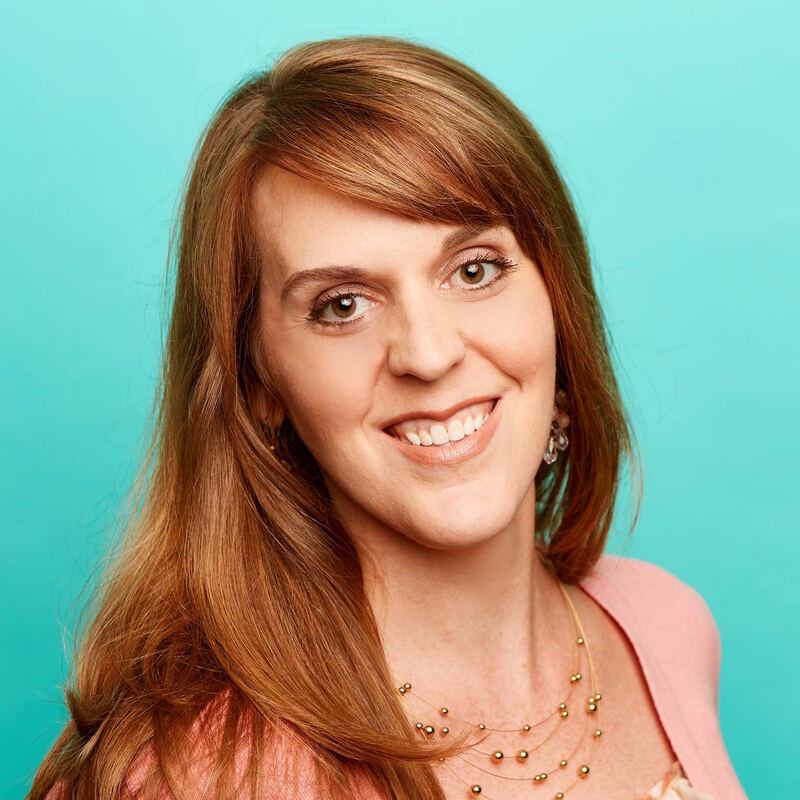 There are some great items available from lifeway.com that are perfect for both the theme and my budget because they are practical beyond just a tabletop or focal wall display. 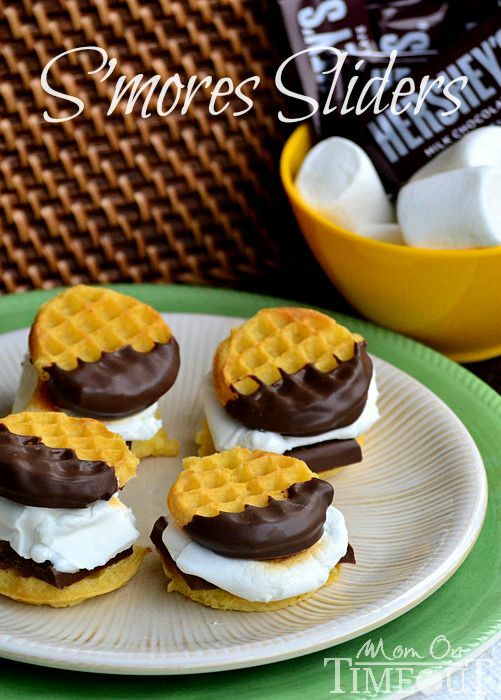 Check out these ideas & see what you think. There are tons of other great ideas for buying smart. What other uses do you see in these products? 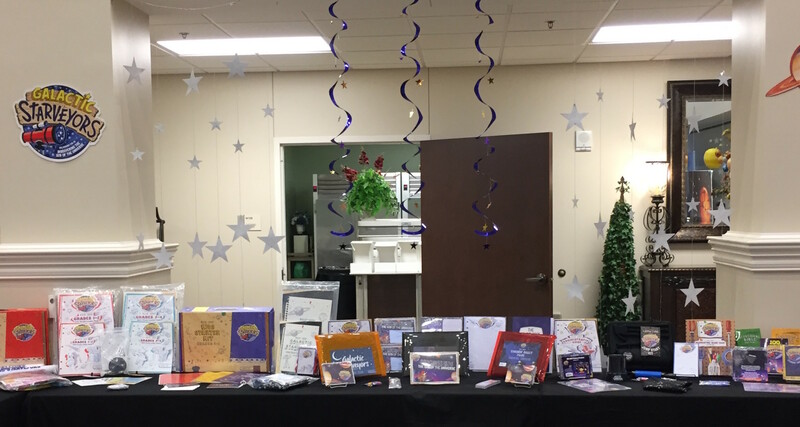 What’s your strategy for getting the most out of your VBS budget? For more information on budgeting for success in VBS, click HERE. 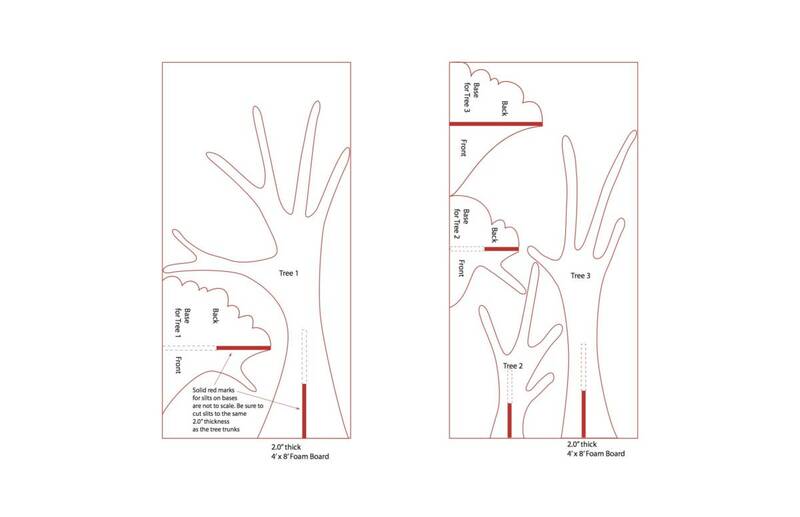 Today we’ll walk through the process of making large trees to use in your Worship Rally decorations. Here they are on either side of the clubhouse in the large-scale decorations featured in Decorating Made Easy. 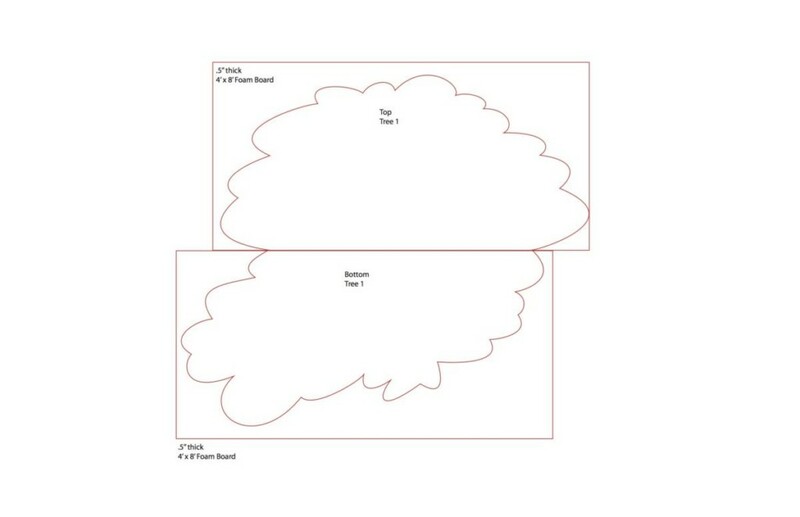 Project the templates onto the appropriate foam board (marked on template). Trace and cut out with a jigsaw. Cut out the trunks and bases first, saving the slits for last. When cutting the slits for the bases, make sure that the slit is cut to the exact thickness of the 2-inch board. (It may not be exactly 2-inches.) We usually use the straight edge of a scrap piece of the 2-inch board to get the thickness right. 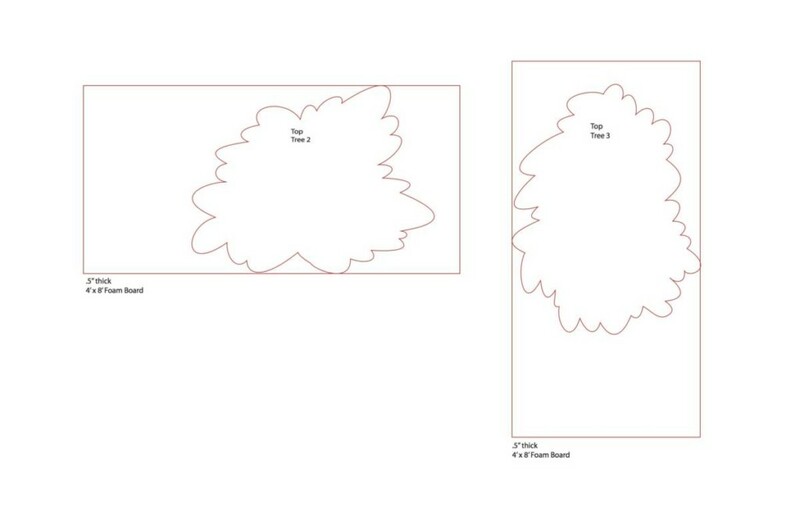 NOTE: The slits marked on the templates are for reference only and are NOT drawn to scale. Do not use them to cut. Also, the depth of the slit on the base and trunk should be the same. The trunks have slits cut from the bottom—bases have slits cut from the top. The templates use dashed lines to show approximately where the slits overlap. That’s just to show you where they will approximately fall. Do NOT cut the dashed lines. Paint as desired and allow to dry completely. Attach the “Top Tree 1” pieces together from behind with Gorilla Tape. Slide the trunks into the bases to be freestanding. Move into place in Worship Rally area. Pin and/or tape the tree tops to the tree trunks. Here’s a riddle to start off your week. 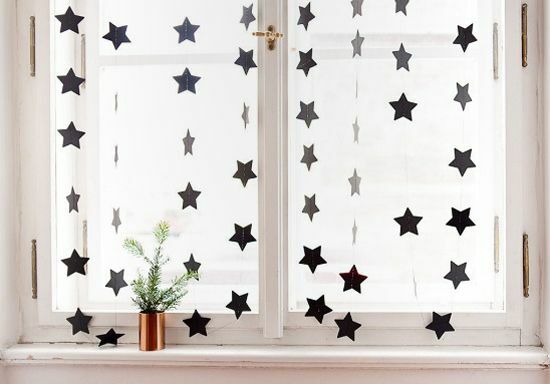 When is a Star Curtain not a Star Curtain? Answer: When it’s put to use by VBS creatives! 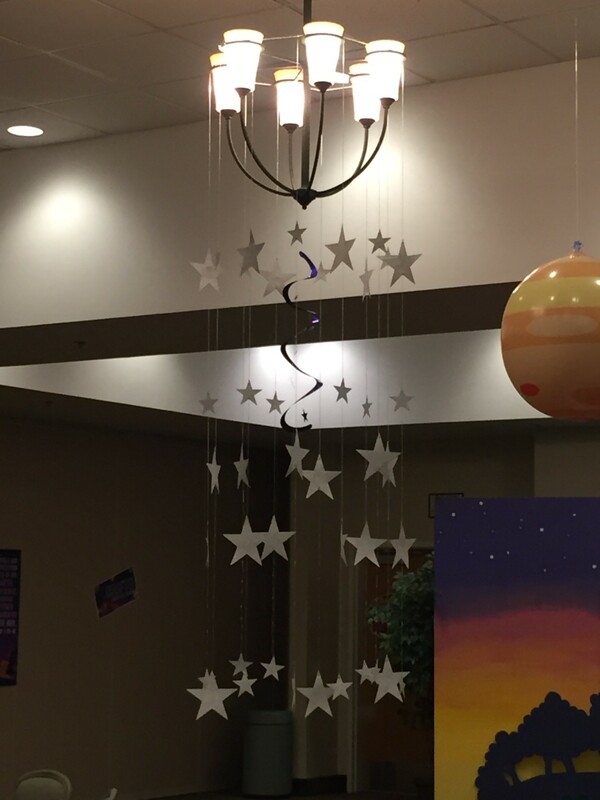 The VBS 2017 Star Curtain (available HERE) is a truly versatile decorating item. I don’t know about you, but I love it when I find one item that can be used in tons of different ways! 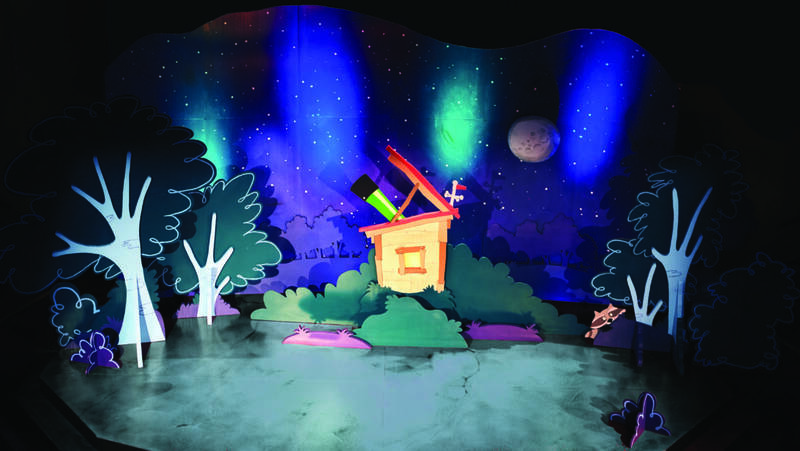 So today I’ll show you a few different ways to use the Star Curtain in your VBS. But I’m sure you’ll think of many more creative ways to use it. Add a comment to this blog post to share your great ideas with others! 1. Hang from a door frame as a door curtain. 2. Hang in front of classroom windows. 3. Separate and hang individual strands from the ceiling at varying heights. 4. 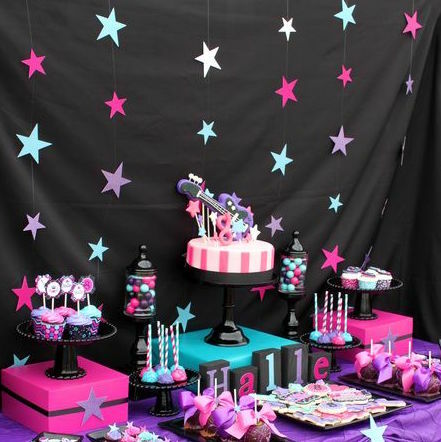 Hang in front of a black sheet to create a backdrop behind snack or registration tables. 5. Intersperse among the planets of the VBS 2017 Giant Inflatable Solar System for maximum impact. 6. Attach to a bulletin board to mimic a shooting star. 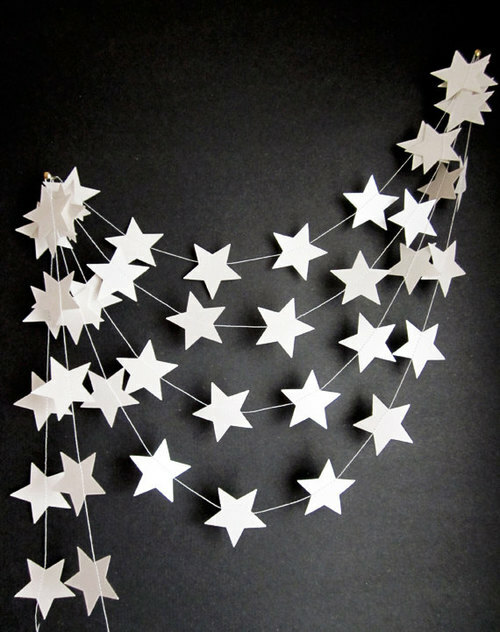 Add a paper or large glow-in-the-dark star to the gathered end. 7. 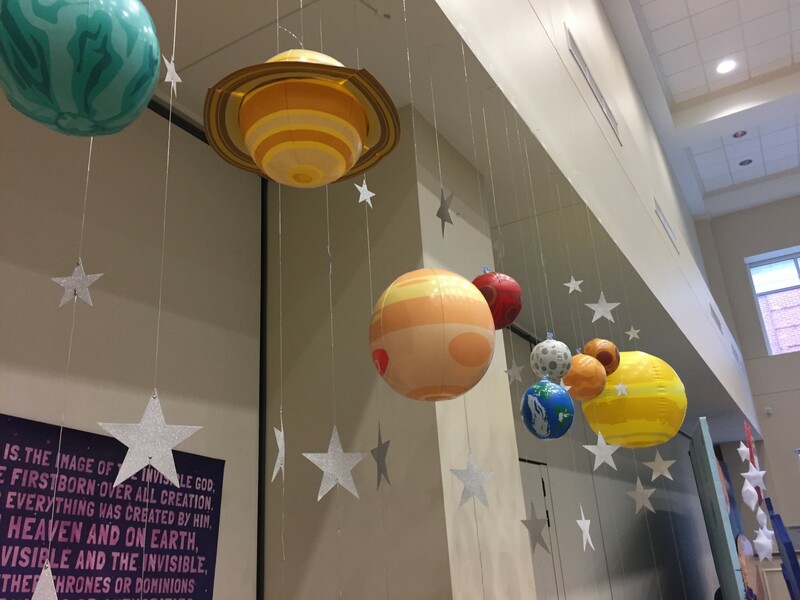 Hang from the ceiling alongside the VBS 2017 Star Whirleys. 8. Cluster individual strands together and hang from the ceiling or a light fixture. 9. 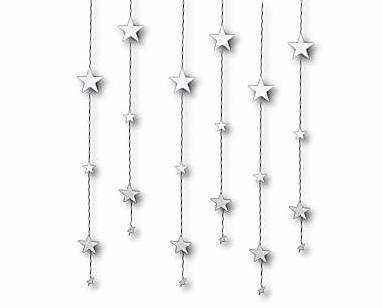 Drape the strands elegantly to form a star garland swag.